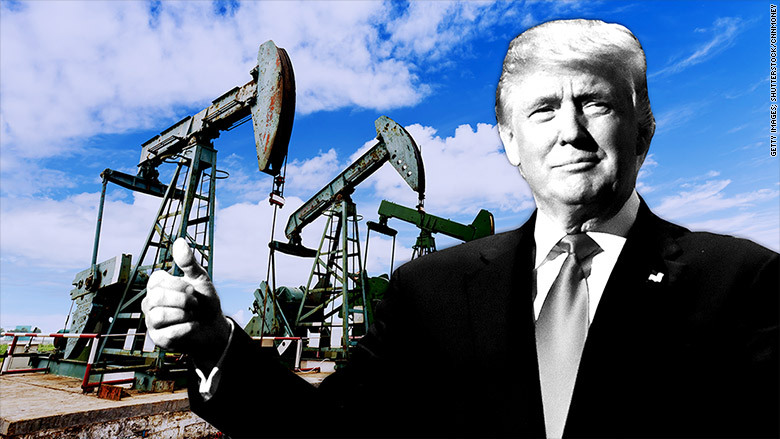 Donald Trump's ascension to the White House is delivering a "yuge" boost to oil, gas and coal producers. Energy stocks are rocketing higher as investors anticipate tectonic shifts in policy and regulation that have been promised by President-elect Trump, a billionaire businessman who campaigned on boosting domestic energy production. Trump has promised to "save" America's long suffering coal industry and help oil and gas companies by cutting regulation and encouraging more drilling. He's also called climate change a "hoax." Activists have warned that the policies will accelerate climate change and endanger the environment. But investors appear to be confident that Trump will be able to implement his proposals. "Right off the bat I believe he will roll back things like the Clean Power Plan," said Sarah Emerson, president of Energy Security Analysis, referring to an initiative launched by President Obama that aims to reduce carbon pollution and slow climate change. Shares in major coal producers went crazy on Wednesday, making double digit gains on the back of the election results. The biggest U.S. coal producer -- Peabody Energy (BTUUQ) -- saw shares rise 50% Wednesday and they're up again by more than 10% Thursday. The second and third biggest American producers -- Arch Coal (ARCH) and Cloud Peak Energy (CLD) -- have also rallied. Meanwhile, shares in the shale pioneer Chesapeake Energy (CHK) surged by nearly 9% Wednesday and are rallying again Thursday. Shares in Texas-based Cabot Oil & Gas (COG) and Valero Energy (VLO) also shot up Wednesday by 7.6% and 6.7%, respectively. Oil pipeline operator Kinder Morgan (KMI) -- also based in Texas -- saw its shares climb 4.5%. 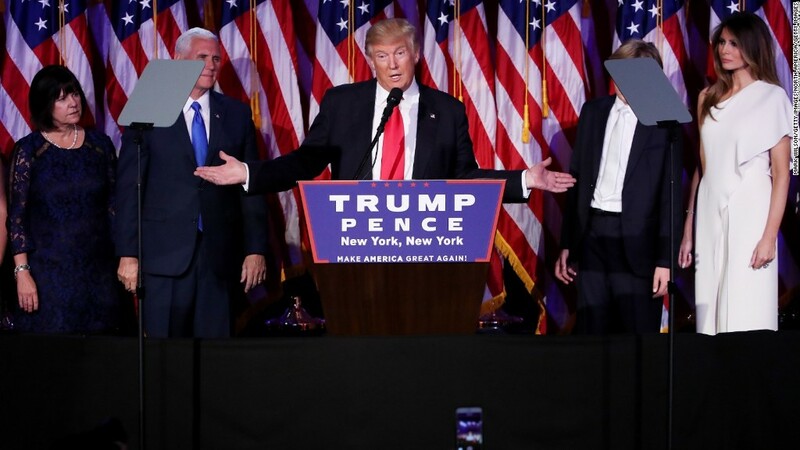 President-elect Donald Trump is expected to role back regulations on the energy sector. Trump could also be positive for Canada's energy sector. TransCanada (TRP) has faced many setbacks in getting approval for its $5.4 billion Keystone XL pipeline, which is supposed to run between the U.S. and Canada. Obama would not give a presidential permit for the Keystone XL to proceed. The company has already said it was "evaluating ways to engage the new administration," according to media reports. Equity strategist Matthew Barasch at RBC Capital Markets said in a research note: "While we realize it may not be popular to say this, we would view President-elect Trump's environmental stance (especially as it pertains to energy policy) as positive for Canada." Energy experts and market strategists caution that Trump's energy plans still aren't crystal clear. But after eight years with Obama in the White House, businesses and environmentalists are expecting major change. "It doesn't look positive for people who are moving to tackle climate change," said Aled Jones, director of the Global Sustainability Institute at Anglia Ruskin University in the U.K. "It's an interesting time to be an investor."